For sure, you can add songs from local drives of a PC/Mac to iTunes Library. However, if the songs you’re going to add to iTunes are not iTunes friendly format, then you’ll fail to add them to iTunes Library. Don’t worry! iMusic makes it an easy process. 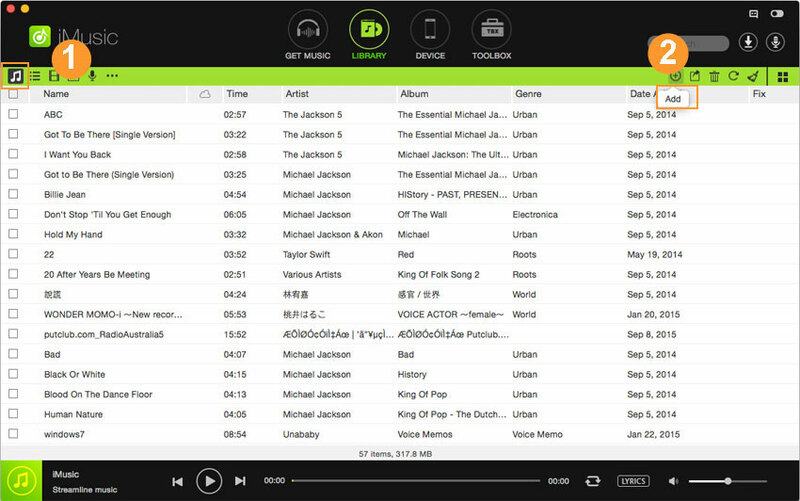 It will automatically convert these songs to iTunes friendly format and add them to iTunes Library. Tips: iMusic can not only add songs to iTunes Library, but also support Playlists, iTunes U, movies, podcasts, TV shows, music videos, audiobooks, home Videos from PC/Mac to iTunes Library as well. 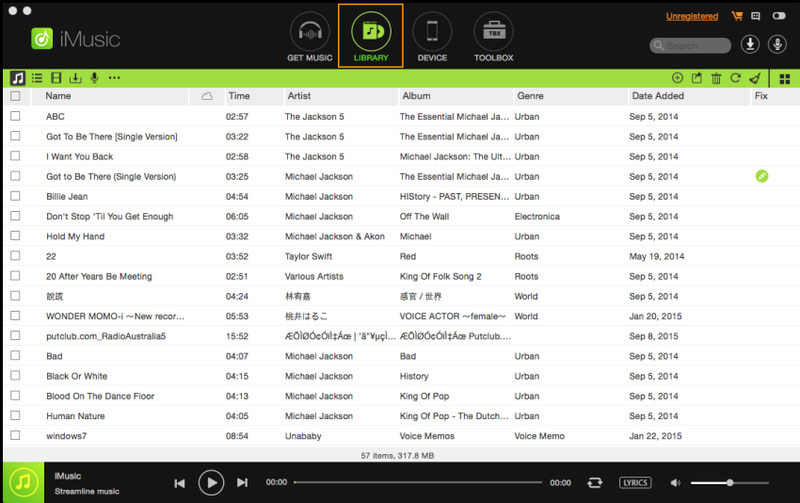 Install iMusic on your Windows PC or Mac. Launch it and click the “LIBRARY”. There are 2 ways to add songs from PC/Mac to iTunes Library. Choose the way that’s right for you to add songs to iTunes Library. Option 1. Click the Add icon on the top right of the window. Then choose either “Add File” or “Add Folder”. To make it fast to add a couple of songs to iTunes Library, you’re suggested to put them in a folder first before importing them to iTunes Library. 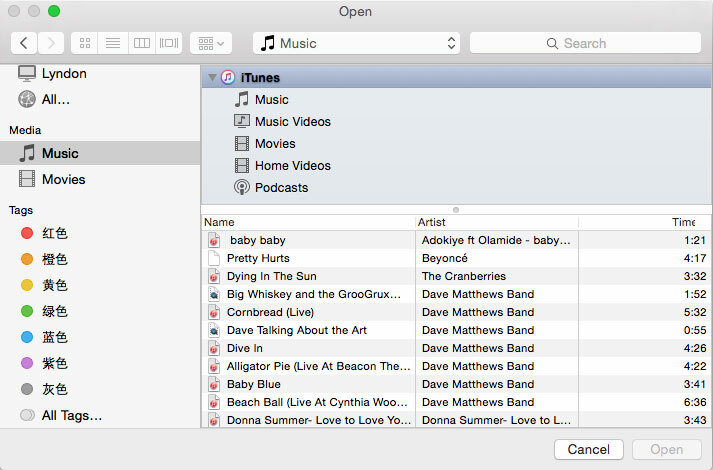 In the pop-up window, find the song or folder that you want to import to iTunes Library. Click “Open” to start to input songs from PC/Mac to iTunes Library. Option 2. You just need to find the songs you’re going to add to iTunes Library first, then check them, drag and drop to iMusic "LIBRARY" window.